After my discovery of Pavtube's HD Video Converter I wanted to compare the transcoding of HD Video Converter and Handbrake. I took a ripped DVD and transcoded it to iPhone 4. There are a couple of other differences. Handbrake would use the ISO file as input. 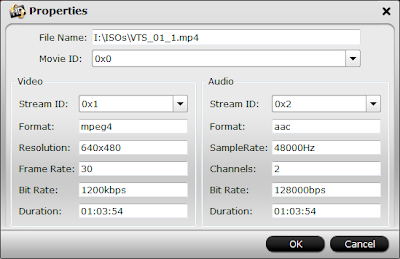 For HD Video Converter I had to mount the ISO (using Microsoft's Virtual CD-ROM Control Panel) and then navigate to the VIDEO_TS folder and select the VOB files.